April 22, 2019. 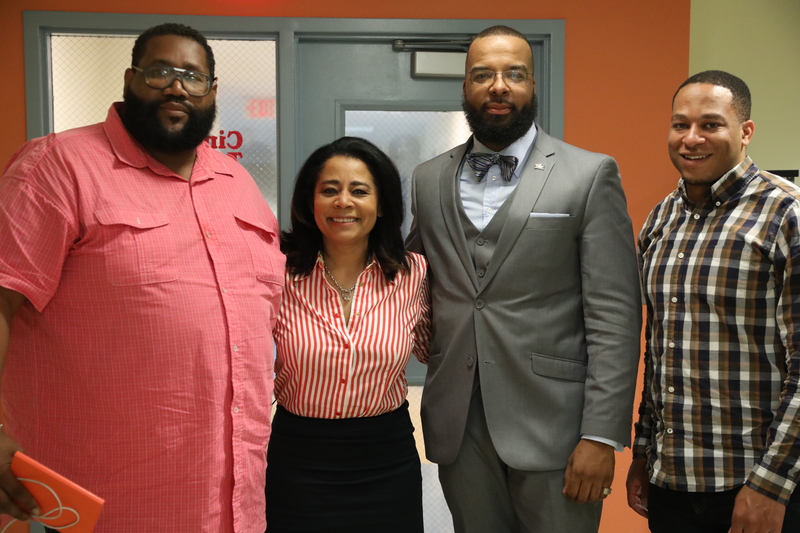 Philadelphia Lawyers for Social Equity (PLSE) announced today that, with the assistance of the Pennsylvania Board of Pardons, it had completed a full day of videotaping people who shared their experiences in applying for a pardon. The applicants, who are being called “Pardon Coaches,” included Brandon Flood, recently appointed Secretary of the Pennsylvania Board of Pardons, who himself was a successful applicant for a pardon. “Creating a video library to help people who are considering applying for a pardon is a terrific idea,” said Secretary Flood, “and I was absolutely delighted to be asked to serve as a Coach. My hope is that more people will see from these videos that a pardon is a real option for them, and they will continue to be productive citizens.” Flood had been convicted of two felonies by the age of 22, served nine years in state prison, and received his pardon when he was 36. “All of the people who came out today to share their stories and their wisdom were simply terrific,” said Renee Chenault Fattah, well-known Philadelphia television news anchor who conducted all of the interviews. “A few of the Coaches shared what they did wrong and why they thought their applications had been rejected, while others explained what they thought they did well. But the bottom line for everyone was, ‘You can do this!’ For me, it was an inspirational day.” Chenault-Fattah is a member of the PLSE Board of Directors. Funding for the PLSE Video Project was provided by the Thomas Skelton Harrison Foundation. 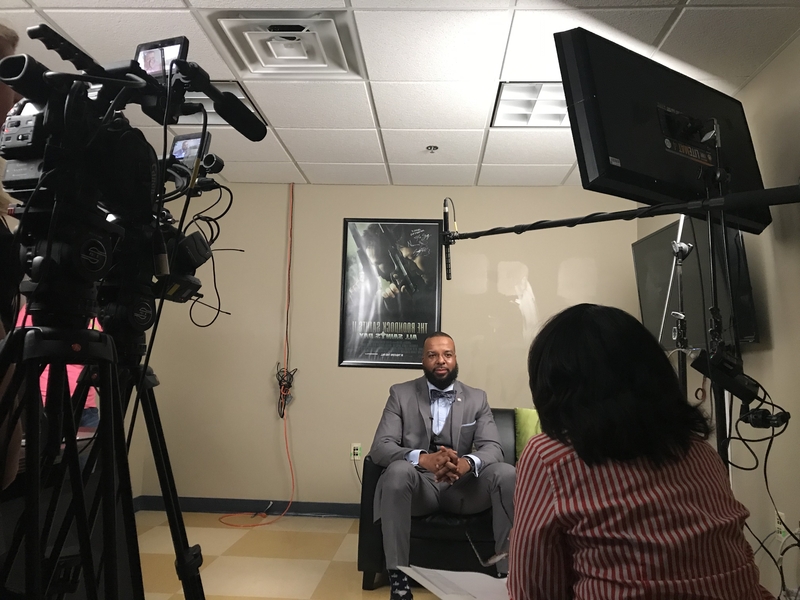 Students in Drexel University’s Film and Television Program recorded and will be producing the videos, a dozen of which are expected to be completed and posted on PLSE’s website by July. April 8, 2019. The Lenfest Foundation announced today that it will fund a study by the Economy League of Greater Philadelphia of the economic impact that pardons could have on low-income, high-arrest communities, as a part of workforce development initiatives. The study is expected to be concluded by September. January 9, 2019. The Philadelphia Foundation announced today that it has provided a $10,000 Leadership Development Grant to Philadelphia Lawyers for Social Equity (PLSE). The grant was announced by Pedro A. Ramos, the foundation’s President and CEO. This is the first grant the foundation has awarded to PLSE. It was supported by the William J. McCahan 3rd Fund in Memory of Thomas C. McCahan and Florence M. McCahan. The grant is intended to strengthen organizational capacity and nonprofit leaders in the areas of governance, planning, civic engagement, and board and staff development. “The timing of the grant could not be better for us,” said Tobey Oxholm, PLSE’s Interim Executive Director. Within the span of the past year, PLSE has appointed a new executive director, hired two new staff, started a student internship program, and greatly expanded and diversified its Board. It also more than doubled its annual budget, raised more than $100,000 in donations for the first time since its founding in 2010 and attracted first-time support from several well-known foundations in addition to the Philadelphia Foundation. Over the same one year period, PLSE also instituted a variety of best practices, including independent reviews of its financials and Form 990, and achieved a Gold Seal rating from GuideStar. Perhaps most significantly, it launched its new Pardon Project this past October, which is expected to start connecting PLSE with workforce development, public health, social service and religious institutions in low-income/high-arrest neighborhoods throughout the city that give communications and volunteer management very high priority. November 14, 2018. Philadelphia Lawyers for Social Equity (PLSE) announced today that is has appointed JarueLawson as its inaugural Mike Lee Fellow. The Mike Lee Fellowship in Criminal Justice is presented twice each year by PLSE to individuals who have (or have had) a criminal record, are interested in a career in criminal justice or community organizing, and have a commitment to social equity. For six months, Lee Fellows work alongside PLSE staff to engage with communities disproportionately affected by criminal records, and help PLSE better understand the challenges they are facing. Fellows will also propose a project to address an issue related to criminal records, which PLSE will support them in developing. Mr. Lawson has a passion to help others and a personal understanding of the challenges people face when they have a criminal record. He is a Philadelphia native and 1995 graduate of Bartram Motivation High School, where he was an honors student. He then went on to study nursing administration and business management at Indiana University of Pennsylvania and Community College of Philadelphia respectively. During his 20 consecutive years of incarceration, he became passionate about social justice reform, activism, mentorship, and the role of identity in shaping one’s perspective and behavior. He currently works as a home healthcare aide, and in the past has worked as a certified tutor and in electrical maintenance, while receiving additional certifications in forklift operation and electronic technology. October 22, 2018. Philadelphia Lawyers for Social Equity (PLSE) announced today that the Samuel S. Fels Fund has awarded PLSE a Social, Racial and Economic Justice Grant in the amount of $20,000. The grant is intended to support PLSE as it expands beyond criminal record expungements into a new area of critical importance to low-income Philadelphians – pardons – and develops related outreach, education and organizing programs in partnership with established community organizations. An estimated 60% of those living in minority and low-income neighborhoods have been arrested at least once and therefore have criminal record histories that are publicly available, for free, over the internet. In Pennsylvania, a court order is required before anything can be expunged (erased) from an arrest record, even if the charges were dropped or the person found not guilty. Only a pardon from the governor can erase a conviction, even if it was for a misdemeanor that happened many decades ago. PLSE has helped over 3,000 low-income Philadelphians obtain expungements, with a success rate of over 98%. This month, with the support of the Fels Fund and others, PLSE is beginning to train volunteers to help low-income Philadelphians obtain pardons for crimes they committed over a decade ago. Data show that over 80% of all employers consider criminal records as part of background checks when considering applications for employment or promotions. That percentage is even higher for credit agencies, landlords and schools. Parents with criminal records are frequently disqualified from volunteering in their communities, coaching their children’s sports teams, or even going on school trips. October 15, 2018. Philadelphia Lawyers for Social Equity (PLSE) announced today that two well-respected community leaders with very differing perspectives on the criminal justice system have joined its Board of Directors. Since its founding in 2012, PLSE has represented almost 3000 low-income Philadelphians in court as they seek to delete criminal records of arrests that did not lead to convictions. Today, PLSE prosecutes more expungement petitions than any other non-profit in the country. This fall, PLSE is beginning to represent clients in seeking pardons from the Governor for convictions – most of them resulting from plea bargains, and most resulting from bad choices made more than ten years ago. August 27, 2018. Philadelphia Lawyers for Social Equity (PLSE) announced today that it had received a $10,000 contract from United Way of Greater Philadelphia and Southern New Jersey (UWGPSNJ) to develop the first “Pardon Hubs” as part of United Way’s Income and Financial Stability Community Impact Program. In this new partnership, PLSE will select two of UWGPSNJ’s Philadelphia agencies that are located in low-income, high-arrest neighborhoods. Those agencies will be taught about the creation and dissemination of criminal records, the intergenerational damage they cause to individuals, families and communities, and how those records can be erased through expungements and pardons. The agencies will then become “Pardon Hubs,” helping neighbors through those processes. PLSE will hold community information sessions and conduct two client intake sessions per year at each Hub through its Criminal Records Expungement Project. As PLSE is seeking expungements of non-conviction data in court, the Hubs will work with the clients in their neighborhoods to prepare themselves for possible application to the Governor for a pardon. Those who successfully complete the pardon preparation program will be considered for PLSE’s Pardon Project, in which clients will be linked with volunteer attorneys and others who have volunteered to help support the pardon applicant in what is today a daunting three-year process. August 14, 2018. The Louis D. Brandeis Law Society today announced its new partnership with Philadelphia Lawyers for Social Equity in which it will recruit and support attorneys providing volunteer legal services to poor Philadelphians seeking pardons from the Governor. Brandeis is the first bar association to sign up to help with the new Pardon Project. It has been estimated that over 200,000 low-income Philadelphians have been convicted of at least one crime. For a great many, the bad decisions occurred when they were young, often under the influence of alcohol or drugs. Today, those convictions are being used by employers, landlords, credit agencies, and others to deny opportunities to people who have turned their lives around and are otherwise clearly qualified for advancement. The stigma of being branded a “criminal” for all time does more than just keep individuals and their families in poverty: because arrests and convictions are disproportionately higher in low-income, minority communities, criminal history records are helping to keep entire neighborhoods in poverty. The Louis J. Goffman Award-winning Philadelphia Lawyers for Social Equity (PLSE) files and prosecutes in court more criminal record expungement petitions than any other organization in the country. It is launching its new Pardon Project, to help clients who have clearly turned their lives around since the time they were convicted and have earned forgiveness from society. The Louis D. Brandeis Law Society has agreed to find lawyers to help PLSE clients through the daunting pardon application and the 3-year administrative process, collecting the necessary documents and telling their stories of transformation in the most accurate, persuasive ways. Brandeis and PLSE will be offering a 2-credit CLE program on September 17 at 4:30 pm that will be a practical guide for attorneys seeking to help non-incarcerated clients obtain pardons in Pennsylvania. It will free to any lawyer who is considering volunteering for the new Pardon Project. At the conclusion of the program, pro bono lawyers will be assigned an existing, pre-qualified PLSE client to help through the pardon process. For more information about the Brandeis partnership with PLSE, contact Adam Laver, laver@blankrome.com. For information about the CLE program, contact Tobey Oxholm at oxholm@plsephilly.org.